The Department of Physics shares the top position on the chronological list of programmes started. The Department was established in 1966, when the College itself was revived, offering only the Pre-University course. The Under-Graduate Programme (B.Sc.) was started in 1972. Since its inception, the Department has all the basic infrastructural facilities like laboratories, fully equipped with basic amenities and instruments required. Sensing and responding to the ever-growing demands, the Department became a full-fledged P.G. Department in 1992 and a Research Department in 2009. At present, the Department has thirty Faculty members and seven non-teaching staff. Headed by Dr.C.Ravidhas, the Department today is an active beehive of research in a wide variety of frontier areas with high quality Under graduate, Post graduate, M.Phil., and Doctoral programs. The research programs of the Department cover a number of areas like Material Science, Solid State Physics, Nonlinear Dynamics, Thin Films, Electronics, Renewable Energy, etc. 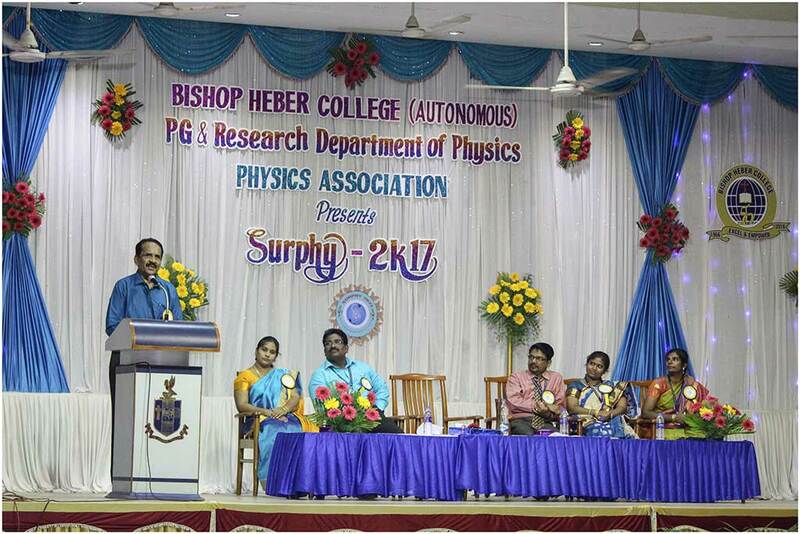 The Department has garnered funds of about 1.5 crore from UGC, DST, DST-SERB, DST-FIST, DBT, Heber Au Sable Institute USA, TNSCST for its Major and Minor Projects, Conferences, Workshops and Seminars on Material Science, Solid State Physics, Nonlinear Dynamics, Thin Films, Electronics, Renewable Energy, etc. and has received the DBT star status. 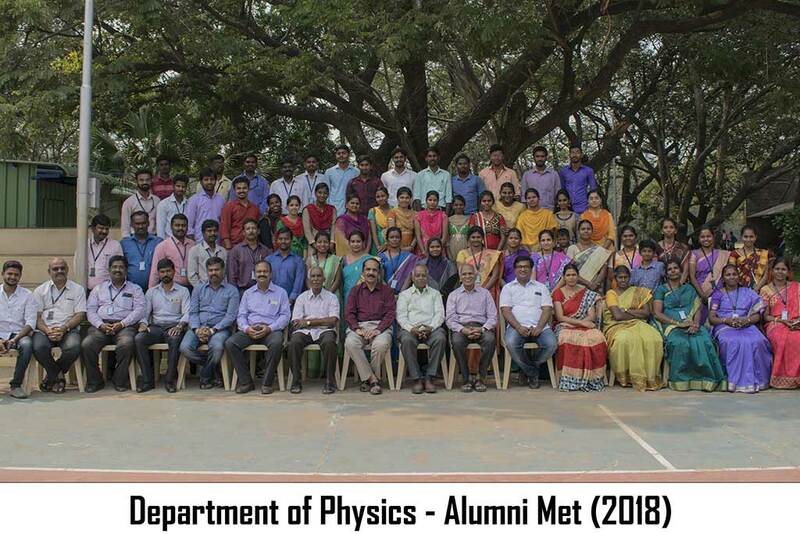 Most of the members of the staff are members of academic or scientific bodies, conveners of various programs, resource persons, reviewers of journals outside the college. Efforts are on to establish tie-ups with business houses and industries. The Department is also the pioneer in the construction of straw-bale houses, which are fireproof and earth-quakeproof, apart from being economical and first of its kind. The achievements of the faculty and students in academic and research activities like research publications (nearly 150 publications with impact factor ranging from 0.22 to 4.758, citation index ranging from 269 to 829), Best Researcher Awards, Best Paper Awards, Projects, visits abroad, editing and authoring books, nation-building and extension activities, with additional responsibilities in the College, have been acknowledged by the College Management through the Best Department Award (among Basic Sciences) for the past three years consecutively. 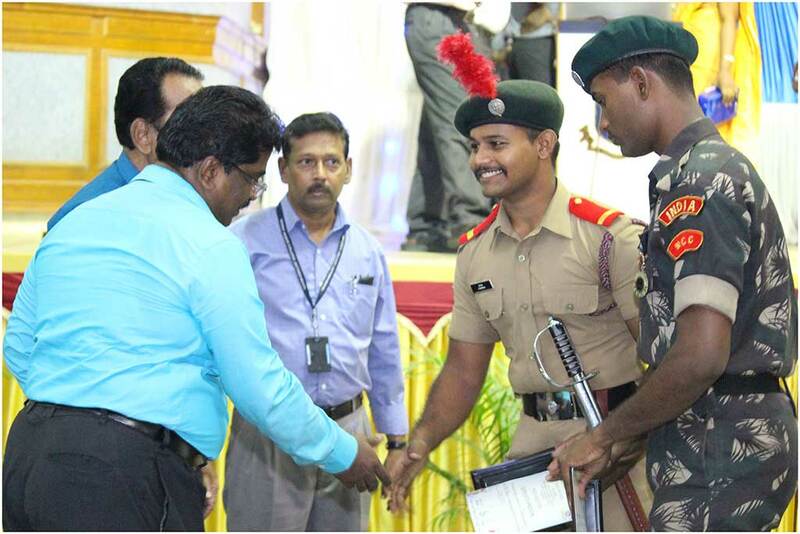 The Department has flexibility in framing courses, conducting UG and PG Diploma and Certificate programmes. The faculty is also very active in extension programmes, in reaching out to students and the general public by conducting summer training programmes, demonstration lectures, and video lessons for High School and College teachers. The Department has a modern laboratory including special purpose mini-labs, hardware lab and operating systems and networking lab to serve the teaching and research needs of the faculty and students of the Department. The ever-increasing rush for admission to the Department clearly shows the academic reputation of the Department. The Department helps students of other related disciplines also to undertake project works, especially in electronics and non-conventional energy sources like solar energy and wind energy. Systematic learning, application of knowledge & skills acquired. To grow with core values and concern on environment and society globally. The department is always very keen to cater to the varied expectations of the students. Anticipating a new era of research and scientific excellence, the department takes constant and steady initiatives towards the up gradation of infrastructural facilities to carry out advanced research. The department takes pride in having the state –of –the –art laboratory facilities to carry out experimental research in the areas such as thin films, nanotechnology, crystal growth, nonlinear dynamics, liquid state physics and renewable energy. The department has indigenously developed spray pyrolysis unit and gas sensing unit. The department possesses sophisticated instruments for thin film fabrication like DC and RF sputtering unit, spray pyrolysis and spin coating units for solar cell fabrication and also gas sensing unit for gas sensor devices. The PG laboratory is well equipped to carry out advanced practicals in electronics, properties of matter, magnetism, heat, sound, electricity, spectroscopy, dielectrics, ultrasonics, laser optics, etc. Also the department has a well – furnished Computer lab with sophisticated computers with high speed broad band connections. The Physics Association hosts ensemble, a forum for students to develop their professional skills and research aptitude, where the programmes are organized by the students and for the students. 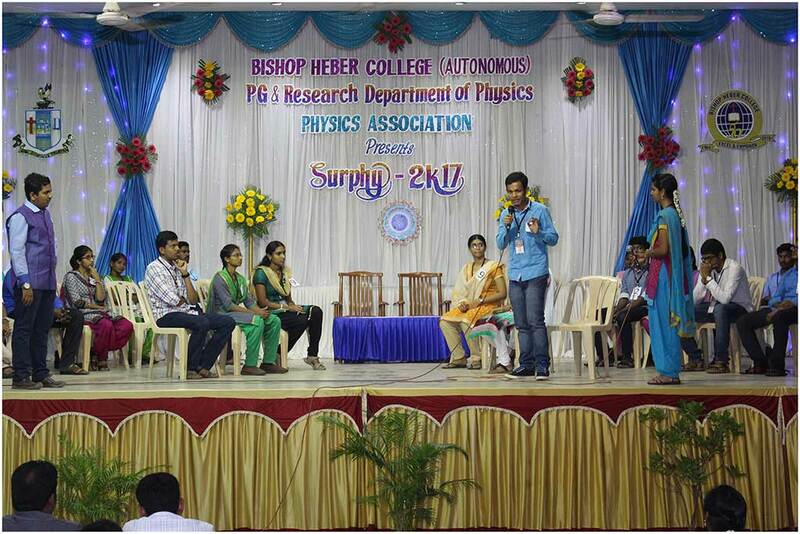 SURPHY, an intercollegiate physics meet is conducted annually. Weekly Research Colloquium, organized by the department, encourages young researchers and faculty members to disseminate and enhance their knowledge and expertise in the developing fields. Students are also encouraged to carry out socially relevant research projects. The department also conducts periodical seminars, workshops, symposiums and conferences. The department has shown an exponential growth in research over a short span, since it has been upgraded as a research department in the year 2007.To its pride, the members of faculty have received nearly a crore as funds for major and minor research projects from government agencies, since 2007. As a result, more than 200 research papers have been published in peer reviewed national and international journals with commendable impact factor. Further, our department performs collaborative research with leading research institutes in India and also countries like U.S.A, Greece, West Africa, United Kingdom and Japan. 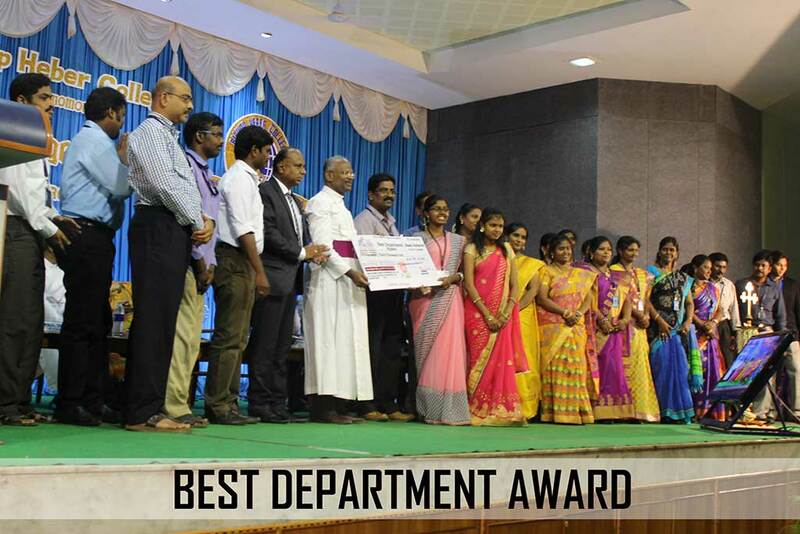 In a nutshell, quality publication in reputed international journals, numerous awards obtained, unique courses offered, helps our department in the march towards excellence in research.